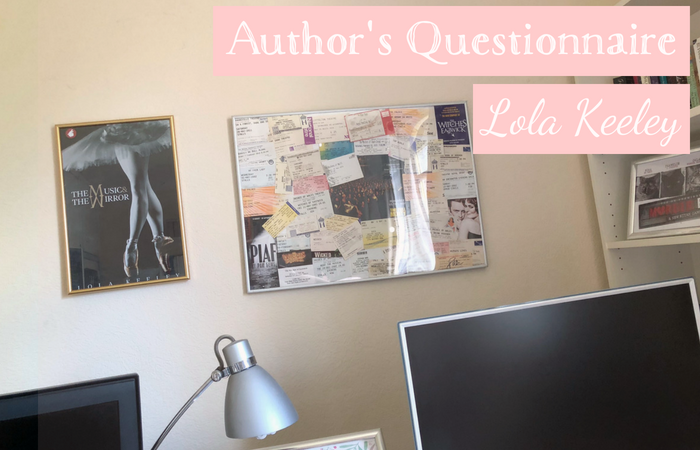 In this series, I feature authors whose works feel particularly Heroine Training-esque, asking questions that I care about as a reader, beyond the back-of-the book blurb. This week, meet Lola Keeley, author of The Music and the Mirror. Let’s meet the author first. Who are you and where are you from? I am Lola, long-time Londoner but now of Edinburgh. The formative years were spent in Motherwell, though. What is your earliest memory of wanting to be a writer? I remember in primary school, we were learning to write ‘biographies’ of each other as writing practice. My best friend at the time and I were tasked to write a short series of facts about each other. Instead, we made up fantastical stories involving the ability to fly, pet unicorns, and being Swiss. The fiction bug had clearly hooked me. Stare, cry, close laptop? No, I’m very lucky in that I rarely have entirely useless spells. When it’s allocated time I sit down with a cold drink, instrumental music (words distract me too easily) and either Google Docs or Scrivener. I’m a big fan of timed methods, especially when on deadline. I try to write every day, and have been for the past few months. I’m going to fold some ‘breaks’ into that now that book 2 is off to the editors. 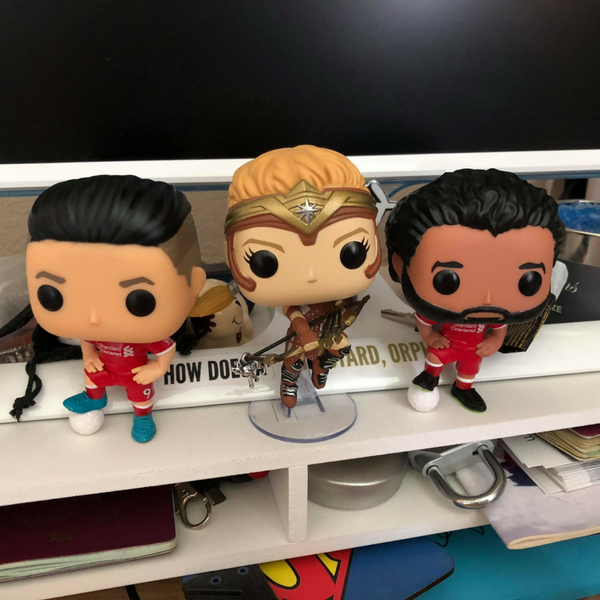 ^ The Funko supervisors on my desk. They are all examples of excellence, and I have to aim for their standards. Introduce us to your heroines. Our initial heroine is Anna, who just achieved a major dream by getting into an elite ballet company in the first place. She’s a good person, fundamentally, who wants success but not at the expense of others, if she can help it. Orphaned in her teens, she has a sort of found family who’ve loved and supported her in getting to this point. Her love of ballet comes from her mother, who has Ukrainian/Russian roots. Then there’s Victoria, who in other stories might well have turned out a villain. She’s difficult, and brilliant, and carrying a tremendous amount of pain (both physical and emotional). Being injured cost her the last years of her dancing career, and Victoria has been creatively adrift for most of that time. Meeting Anna sparks her competitive and creative spirit again, and bringing the best out of Anna maybe brings the best out of Victoria, too. That doesn’t necessarily make her any easier, but it does end up making them both happier. What would their Hogwarts houses be? 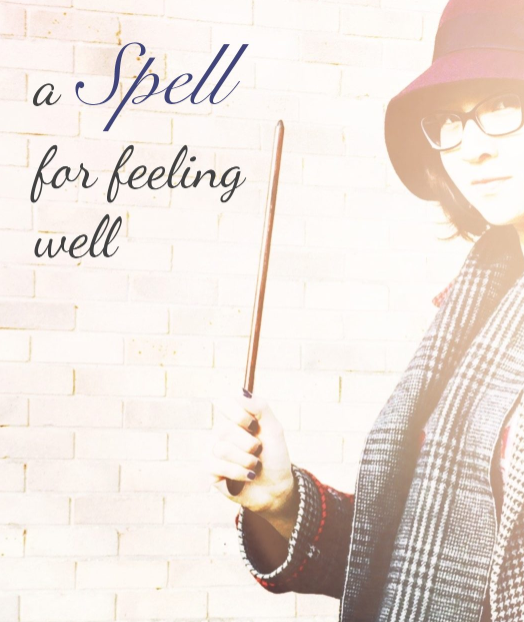 Anna is a Gryffindor, though frequently mistaken for a Hufflepuff. She absolutely has that headfirst into the deep end quality, and is fiercely loyal to her chosen people. Sometimes just a little naive about other people and their intentions, but made of some pretty stern stuff when it comes down to it. Willing to put the work in when it counts. Victoria is a Slytherin. Ambitious and self-sufficient, and she can seem a little closed off in her elite world, but there’s much more to her than that. There’s a certain regal quality, but she’s also compassionate and protective of her clan. Her mean girl level is not an act, but she doesn’t always mean it. How are they heroines in training? Anna is learning to be her best self, to find out what she’s truly capable of when plucked from the corps de ballet and pushed into the spotlight. She’s terrified, but she’s thriving as well. Learning to trust her own ability and the quality of her coaching. Victoria is an ice queen thawing. She’s been happy to play the part of villain but her heart isn’t in it, and most of that comes from suffering. Now that she has something to be enthused and happy about, she can find her place in creating a new magnificent career to share with the world. She might not be able to dance anymore, but she can be a heroine who nurtures the talent of others and overcomes her own demons. How are you a heroine in training? I am learning to accept praise, and to promote my achievements. It’s a very tricky thing, something that still scares me every time I do it, but each time with a push and crossing my fingers, it gets just a little easier. I’ve also written a book about women who love women, something I thought years ago meant no chance of getting published or making any money at all. I’m so pleased that I got to do it, relatively speaking, my way! Now I have to take that foundation and tell all the stories that I wasn’t sure I could put out there. Time to be brave! 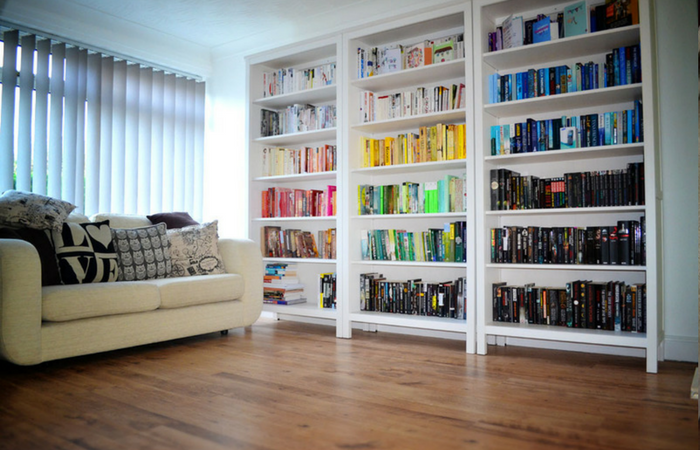 In your spare time, how do you choose what to read next? There’s a perpetual stack on the end of my desk, of good reads that the wife has left for me. I have an unofficial book group with some friends scattered across timezones, and there’s sort of an unwritten code for things we rec to each other, in varying degrees of urgency. Because our tastes overlap so well, one message from that group saying READ THIS will jump it to the front of my queue, usually. Outside of that, it’s usually a guilt trip through my Kindle library, picking up whoever has been neglected for longest. 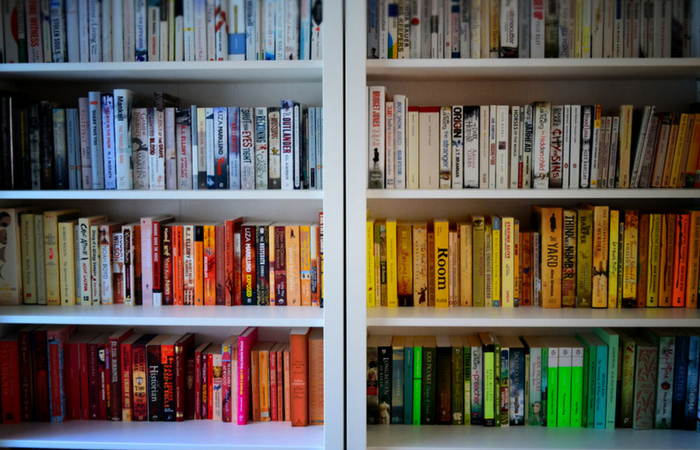 That said, I’m learning to love the idea of each book at the right time, so it’s not something to feel bad about if a book has to wait a while to be in the mood for. ^ My friend Gane sent me this pic of her copy outside L’Opéra Palais Garnier, which is where the ending of the book is set. Pretty cool, huh? 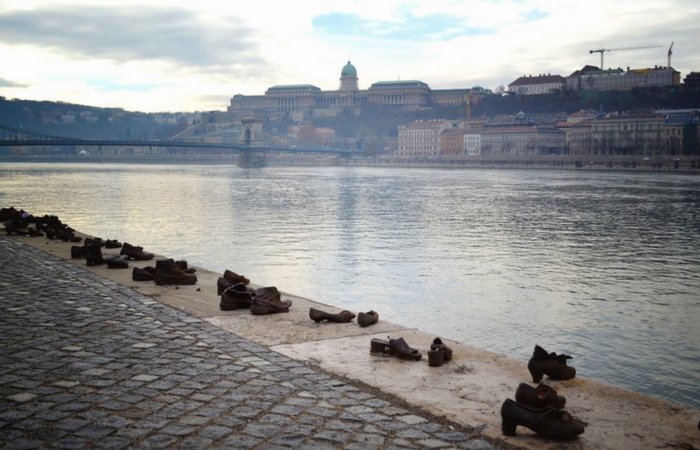 What is the best time, place, and occasion for a reader to pick up your novel to read? I think it’s a terribly portable book. Maybe because it was written in all kinds of locations, from theatre cafes, to trains, to sitting in the garden. It doesn’t need a particularly still environment, because it’s all so rooted in the movement and physicality of the ballet. A lot of reader feedback has told me they’ve taken it to bed to start and stayed up way later than they intended to, once they get hooked, so that’s maybe something to consider! I don’t mind if it takes someone a while to read, leaving the book in their bag and pulling it out in random places to read just a little bit more. I think by doing that they find the best spot to read it in, whatever that looks like for that particular reader. 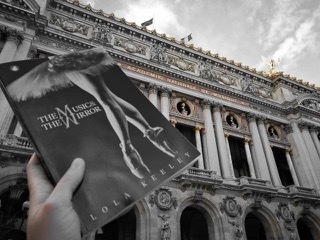 You can find Lola’s novel, The Music and the Mirror, on Amazon, or at your local bookshop. When I find authors that scream Heroine Training, I can’t wait to share. So I crafted the Author’s Questionnaire, to introduce you to wonderful authors and their heroines. My name is Amy Lord and I’m an award-winning writer and blogger from Middlesbrough, in North East England. I first developed a real interest in writing at primary school, where I was commended in a number of short story writing competitions. One of them was Commonwealth themed and as a result, the year after, a small group from the school got to go to a special event in London. Sadly I’d left by then though, so I couldn’t join them! 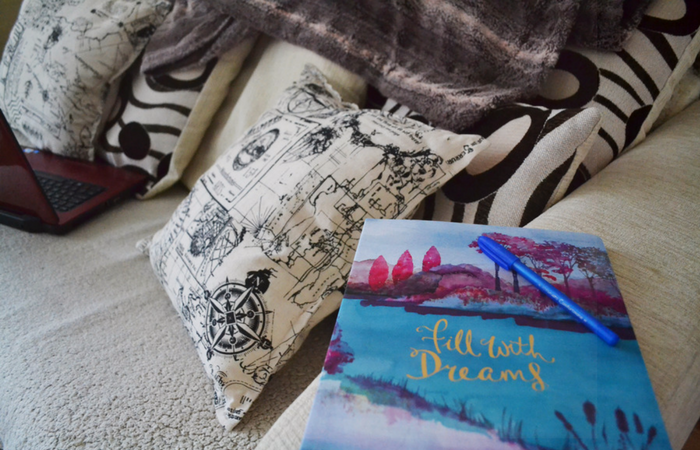 ^ Amy’s writing spot: her sofa! I’ve always struggled to find a good writing routine, despite my best efforts. I’m terrible at finding focus and the more time I spend on the internet, the worse my concentration levels seem to get! But I write best in the evening, after everyone else has gone to bed. There’s something magical about the world when it feels like you’re the only one awake. It really helps me connect to the story I’m writing and find the right emotional space. Introduce us to your heroine. Clara lives in a dystopian version of the UK, run by a military dictatorship. She lost her father when she was eleven, after he was arrested by the Authorisation Bureau for teaching banned books to his students. She never saw him again. Instead she grew up with her stepfather, the Major, who was responsible for her father’s arrest. She becomes a teacher like her father and decides to do something to rebel against the regime. But the only weapons she has are the banned books her father left behind. She persuades her boyfriend, Simon, to help and they decide to teach a secret class where they ignore the approved curriculum and share the truth with their students. But this proves more dangerous than Clara could have imagined. What would her Hogwarts house be? I’ve thought about this quite a bit and I guess I’d have to say Gryffindor. Clara is brave and sometimes foolish, but she feels passionately that the world she lives in is not as it should be and she just wants to make it better. That means putting herself in dangerous situations, because she knows that what she’s doing is right. How is she a heroine in training? Clara has grown up in an oppressive society, in an unhappy family full of secrets and recriminations. She has spent years doing the things that were expected of her, but it all becomes too much and she realises that she has to try and fight back somehow. Books are the best tool she has. I’ve wanted to be a writer since I was 10 years old. The Disappeared is my second novel and I’ve been working on it on and off for several years. I’ve chosen to publish the book with Unbound, who are the world’s first crowdfunding publisher. That means I need to raise about £4,000 through pre-orders of my book to see it released. Crowdfunding really makes you take responsibility for your own work and push to make your dreams happen. I have to talk passionately about my book, because if I can’t sell it, no one else will. Since I started my campaign, I’ve learned a huge amount about how publishing works, as well as what my limitations are and what I can achieve if I put my mind to it. Every time someone buys a copy of my book – especially if it’s someone I don’t know – it’s such a thrill. It makes me feel like a real author! In fact, I recently went to my first event as an author, at a local book group, where I read from my novel and talked about writing and crowdfunding. It was such a fun experience and I’m looking forward to doing more events in the future! This is hard, because I’m easily swayed by the next shiny thing! But I’ve been struggling to concentrate on reading lately, as my brain has gone a little bit mushy, what with juggling my day job, crowdfunding and working on my next book. But I’m really looking forward to reading some of Unbound’s other stuff. Before I signed my publishing contract, I pledged for a number of books as a reader and the first one arrived just last week. Everyone who pledges for a book with Unbound gets their name in the back of the book as a supporter and it’s so exciting to see your name there and know that you helped make the book a reality. My book is speculative fiction, in the vein of Margaret Atwood or George Orwell, so it’s quite a dark read. It would be a great story to pick up on a dark evening, curled up with a blanket, when you want something dramatic and thought-provoking to read. 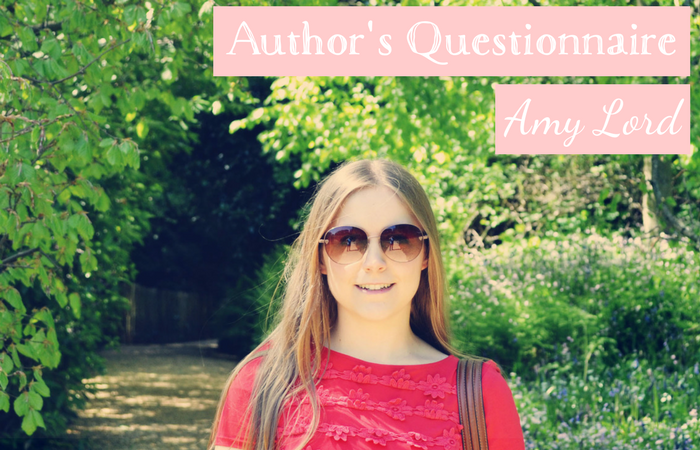 Amy is crowdfunding her debut novel on Unbound. You can pledge to support its publication and pre-order your copy.